Who doesn't love a baby's smile? Spending some time with little ones can make anyone forgot their worries and sorrows. Embellish the baby's room with adorable furniture pieces that can retain the happiness of the baby. Cradles/Bassinets- It is difficult to imagine the baby's room without a cradle. They occupy an important place in the baby's life. The cradle is the first place where the baby spends most of her/his time in the early babyhood. So, it has to be the best time. The cradle/bassinet should soothe the baby. Select a cradle with a limited swing to avoid accidents. Crib Bedding- In the early childhood, the baby's skin is very sensitive and prone to infections. So, choose the bedding material which is hypoallergenic. The crib mattress should have a high conformity index. Otherwise, it may lead to SIDS (Sudden Infant Death Syndrome). The crib mattress should perfectly fit into the crib without leaving gaps as they may injure the baby. After passing the early childhood stage, they will be moving to one of the memorable stages of their life. They are no longer called as babies. Now they have their own mind which is immature. Though they act on their own instincts, but one has to take care of them. Generally, parents allocate separate rooms for their young ones. Kids love to live in an environment which is colorful and playful. So, beautify the kid's room with different furniture. Bunk beds- To create a playful environment in the kid's room, bring home a Bunk bed. They are similar to normal beds except for a two stage construction. Kids can easily climb to the upper part using the ladder fixed to the side of the bed. But make sure that the Bunk bed is provided with a safety rail. To avoid head injuries, consider the height of the ceiling. The mattress should go hand in hand with the bed frame. Rocking chairs- This type of chair is an energy element in the kid's room. Their rocking mechanism enables the kid to enjoy his/her time. Look for a Kids rocking chair which has a controlled rocking mechanism to avoid accidents. Toy Organizers - The kid's room should not be filthy as it may lead to unwanted health problems. Toy organizers can accommodate all toys in a beautiful way. Décor- Hang attractive and informative wall charts in the kid's room. Theme based wall hangings convey the feelings of the kid to the rest of the world. Number charts are widely used by many parents across the world. Above all, consider the available space and plan accordingly. It is difficult to place Rocking chairs & Kids recliners in one room as they may eat a lot of space. So, calculate the available space and arrive at a conclusion. Shop the furniture which has complied with the safety standards of the land, as safety is the most important thing. Shop kids furniture online as it is easy to exercise your choice and select the right furniture piece. Often many sites also mention about the safety compliant furniture products. I recently returned from a week spent in Venice. While we're all familiar with the pretty lagoon and palazzo pictures of the city (I took many, I'll share in a later post!) we may not all be as knowledgeable about nearby Murano. Murano, like Venice, is a series of islands linked by bridges in the Venetian Lagoon, slightly less than a mile north of Venice. Of course the island is known primarily for its glass making. In 1291 Venice forced all of its famed glassmakers to relocate to remote Murano for fear of fire from their furnaces. Unlike tourist ridden Venice Murano still feels real; one comes across scenes of laundry hanging out to dry and the school children running amok once school let out. While dating back to Roman times the island was heavily built up in the 15th century by Venetians who treated the area as a resort. I suspect the building above may date from this time. The picturesque canals are filled with modern motorboats unlike nearby Venice; these are active canals! If you follow me on Instagram (@architectdesignblog) this weekend you probably saw a number of pictures I posted of a grand apartment building here in Washington DC in the historic Kalorama neighborhood. Buildings such as these are listed in the Washington real estate bible, Best Addresses, by the local authority on such matters, James Goode. I live in a 'best address' building myself, although not as grand as this, and it really was one of my apartment's selling features. It's always the first statement of any real estate description of any apartment in these buildings in Washington. I would recommend the book to others who don't live in DC as a great compilation of grand apartment buildings from 1900 till the 1970s, full of floorplans and historic photos. Book publishing season is upon us and it feels like everyday a great new design book hits the stands to devour! 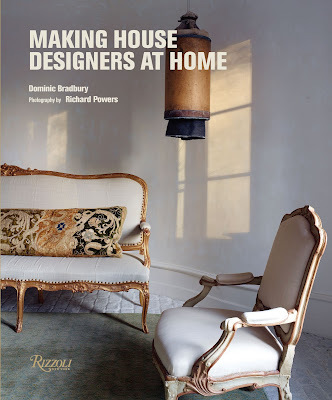 Rizzoli is about to release "Making House: Designers at Home" by Dominic Bradbury which is one of those great peaks into our favorite designer's own homes -many that will surprise you! Kelly Wearstler's Malibu house definitely fits into her aesthetic with these highly refined marble built-ins in her living room which are astounding. Wait until you see the adjoining fireplace!!! The London home of textile designer Neisha Crosland is highly undecorated, which I love to see, and reflects her fun personality. Those double oak leaf chandeliers I want so badly!! Such a fun idea to upholster all of the dining room chairs differently too. 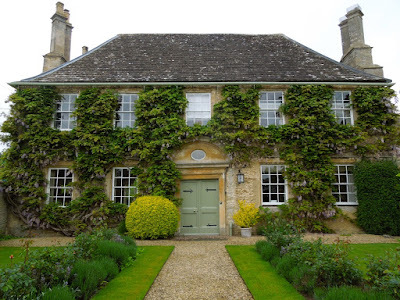 I've recently been looking back at a cache of saved emails I have from my online penpal Neil (who if you remember sadly passed away last year) and came across photos of a small town in Gloucestershire, Lechlade, that he had visited. 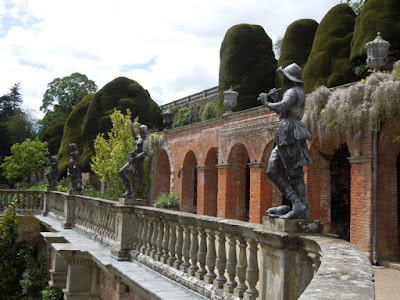 Not only is the town near one of his favorite houses which I've blogged about before, Buscot Park (see that post HERE), the surrounding towns have a lot to offer including some really beautiful gardens and houses made of the local stone. There is nothing I love better than an old house with a crunchy gravel drive -note the wisteria on the bay window above too. Located centrally in the town is the 15th century church of St Lawrence and the beautiful parish house above. This is the southern edge of the Cotswolds so you get a fair number of their famous stone cottages here as well. I think just these few pictures are reason enough to prove why this area is such a tourist destination. Your living room décor is often a reflection of your aesthetic sense. It makes a statement about your artistic skills. So the question is what are the top trends in this space and how can you decorate in a way that makes heads turn. Well, first and foremost, you have to decide on a theme and plan the rest of the décor as per that. But there are some basic trends that you must follow to bring about the cozy, comfortable feel to your house. The Top Trends Bright Colours: Increasingly there is a shift to bright shades from muted colors. Cheerful and vivacious, these bright tones invariably lend an unusual warmth to your living space. Be it the cheerful green or the lemon yellow, it is hard to surpass the glow of these shades. 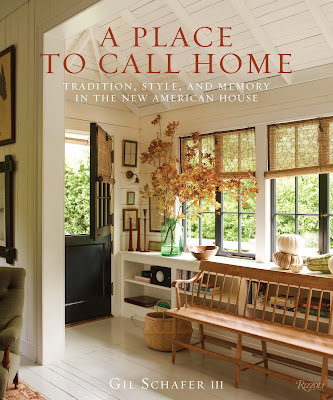 The most highly anticipated book this year has got to be architect Gil Schafer's "A Place to Call Home" from Rizzoli. His first book, 2012's "The Great American House", was a huge hit and is one of my top favorite design books in my library. The book is split into 2 parts: the first he discusses what resonates with him when designing a house for a client (or himself) and the second part takes an in depth look at some of his more recent projects. I think one of the reasons Schafer's work is so popular is that he believes in the maxim God is in the details. In no project is this more important than in a home where someone lives with and physically touches each design decision on a daily basis. Schafer is a residential master; the projects in the book range from the traditional architecture he is known for to more modern styles. In the wealth of saved emails from penpal Neil, Powis Castle stands out as a remarkable building site. The medieval castle dates from the 13th century but has been improved and built upon until the present time. The gardens however are the real thing to see here. Taking advantage of the hilltop site, the baroque gardens original to the 17th century, terrace down the hillside creating dramatic views of the castle in Italian style. They were extensively restored by Violet Herbert, Countess of Powis, beginning in 1911 and becoming her life's work until her death by car crash in 1929. Although a castle is essentially a fortress, a military stronghold, the multiple rebuilding of the structure and addition of expansive windows have created a palace over time. I'm sure the original occupants wouldn't recognize their early home 800 years later. Perhaps the courtyard entrance below which remains the most unchanged would appear familiar.